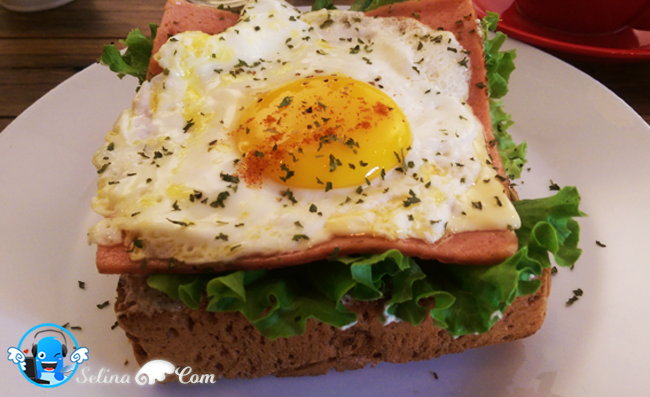 Eggee-Ham Toast - sunny side up egg, fresh vege, ham, cheese, cream cheese also top on toast, it is RM 13, so it is expensive but, it looks simple..easy to do it only? Sweetie Fruity (RM 18) also is Best Combination of Berries with waffle. 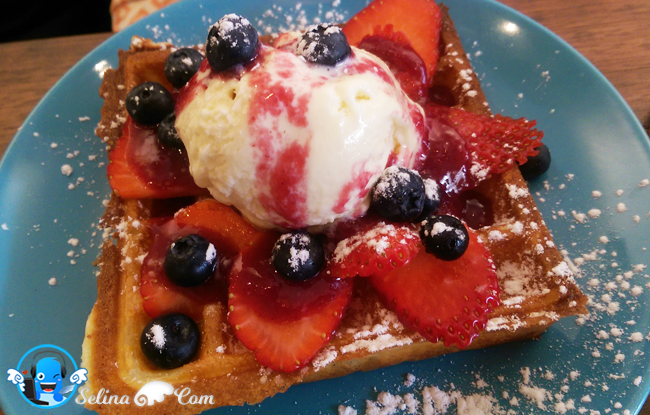 They put an ice-cream with berries and strawberry on top of waffle so very sweet! I really love it! 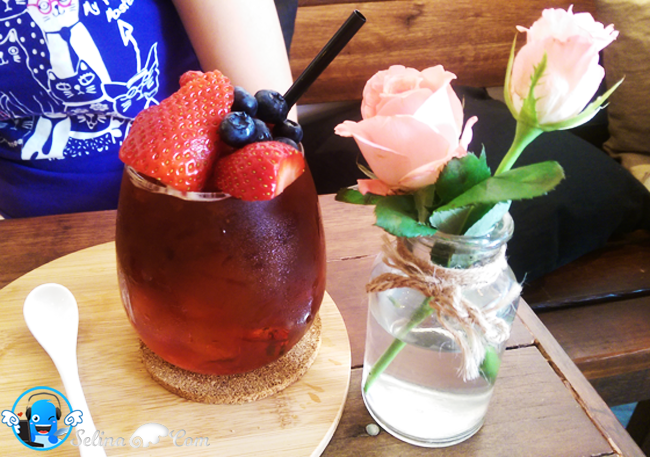 Fishee House Red (RM 13) is very special because first time, my sister and I see many berries and strawberries in the strawberry tea drink! 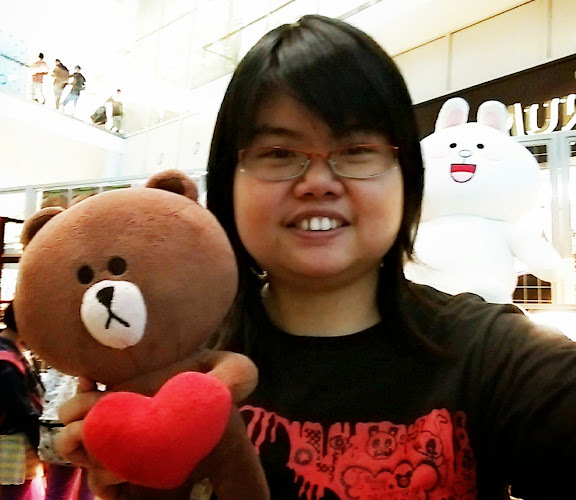 It can make you feel cool when hot summer at outside. I want to drink a coffee because I also sleepy at early morning, then I decided to order a coffee drink, Flat White (RM 9). 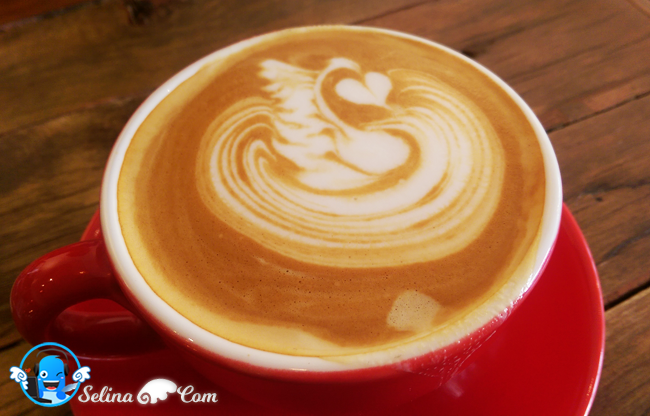 I see a beautiful art latte on my coffee, but I felt it is simple only. Wah! Cute! 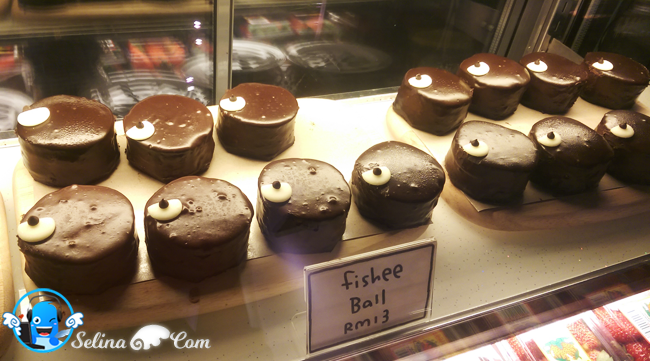 Fishee Ball dessert is RM 13 so expensive! I think that it is good idea to use "Fishee" logo to become dessert cake! Next time, we will come again, then we try it, ya! 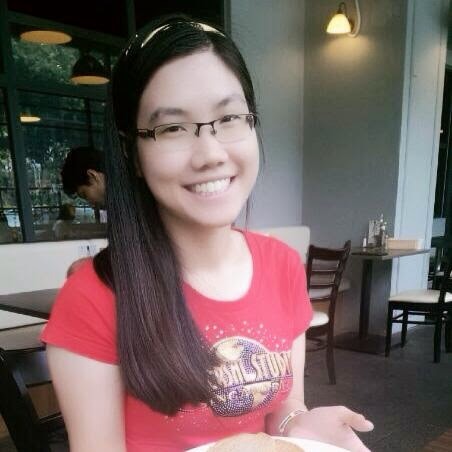 My sister and I decided to eat breakfast at Fishee Coffee since my car sent to the service workshop near this cafe only. We just walked in 5 minutes to reach there. 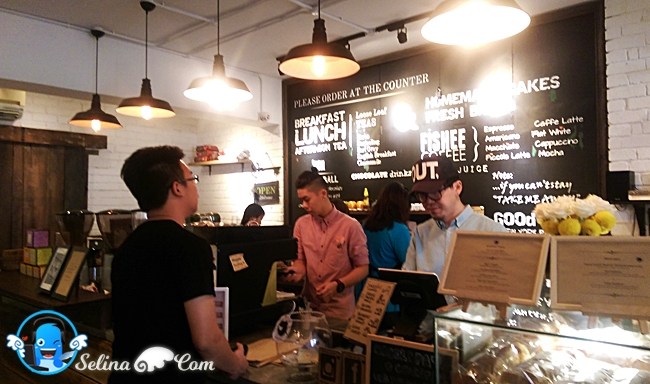 Luckily, not many people are inside this cafe because we come early around 10am. My sister and I saw the deco of flowers at any table and wall environment, so beautiful, but for me, they better to put cute "fish" photos... Be honest, I thought there are few "sleepy fish" photos at anywhere..but it don't have, just show a cute special "fishee" signable cake only. I think that they need to improve the breakfast again. 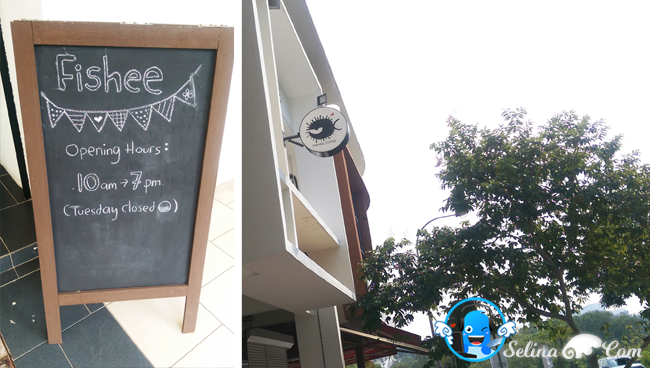 The staffs are friendly so, their service are good...They also provided the free WiFi for the young students and professionals can do their projects when they come to this cafe. 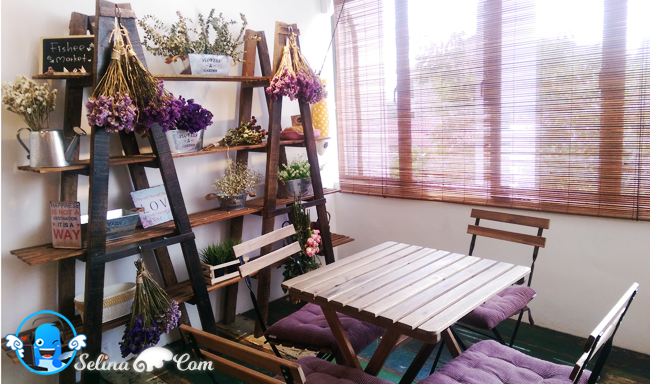 Fishee Coffee is a café that the owner named after his loving wife. This newly wedded couple love coffee so much that they decide to run one. The name resemble after the nickname of the wife, though she is still a full time auditor, the husband works in the café full time. That is a love story about him and his wife! I think that this cafe is running by their family's business.